Anime Limited said that more announcements were on their way and here is their fourth Spring 2018 title of the season after Lupin the Third Part 5, Tokyo Ghoul:re and PERSONA5 the Animation! That’s right, the distributor have acquired the United Kingdom & Ireland rights to Full Metal Panic! Invisible Victory, the fourth series in the franchise for both streaming and home video. The series will be streaming on Crunchyroll for simulcast while the home video is tentatively set for 2019. 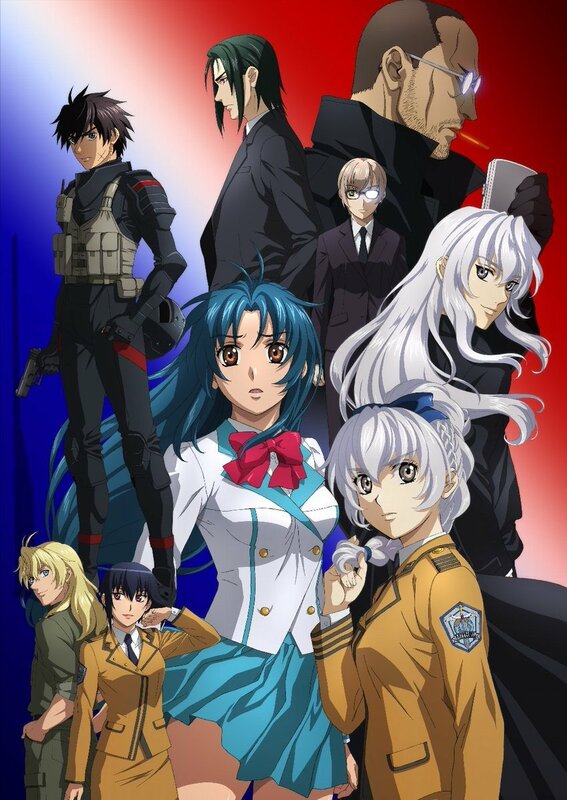 The new series continues after the events of the third series Full Metal Panic! The Second Raid which aired back in 2005. Full Metal Panic returns with a brand-new, action-packed series, continuing from the events of The Second Raid. Invisible Victory finds Sagara Sousuke and his colleagues at “Mithril” under fierce attack at their bases around the globe from a rival organisation known as “Amalgam”. While Sousuke and Kaname face new tests thanks to a dangerous threat on their home turf in Japan, Merida Island and Mithril’s flagship submarine, the Tuatha de Danaan, both come under fierce and concerted attack themselves. The series is written by original Full Metal Panic author Shouji Gatou, with production handled by animation studio Xebec. The series is directed by Katsuichi Nakayama (Planetarian, assistant director Evangelion 2.0 and 3.0), while the series’ character designer Osamu Horiuchi returns to his role for the new series. In addition, the distributor also mentioned on their announcement blog-post that they have some fun plans in store for the franchise later this year, so stay tuned for that. Anime Limited have the rights to the previous Full Metal Panic! anime titles; Full Metal Panic!, Full Metal Panic? FUMOFFU, and Full Metal Panic! The Second Raid; all three of which have been released on Blu-ray. Bandai Namco in Asia will also be releasing the upcoming PlayStation 4 title Full Metal Panic! Fight! Who Dares Wins with English subtitles due 31st May 2018. One of Pony Canyon’s titles is finally heading to the UK on home video. Plus there’s an English dub.